The national developer behind the recently released Roma One Business Park in Queensland has decided to liquidate the strategic 50 hectare holding due to other project commitments. It is now being presented to the open market with all offers to be considered. Blue Commercial’s Gary O’Shea is coordinating the sale process on behalf of the developer and is seeking expressions of interest for individual serviced allotments, future stages or the whole estate in one line. 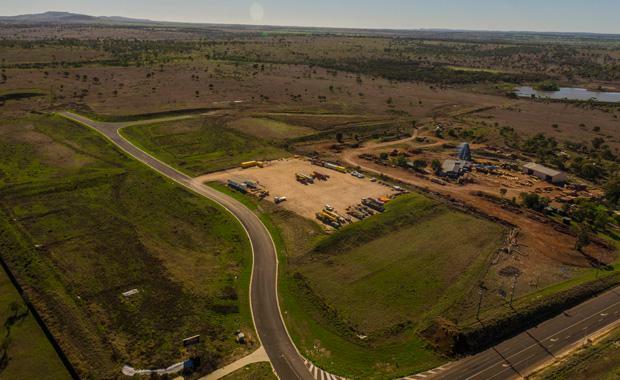 “Roma One Business Park is ideally positioned with direct access and exposure to the Warrego Highway only four kilometres east of the Roma Town Centre and airport,” Mr O’Shea said. “This strategic Surat Basin estate provides a very affordable opportunity for astute investors or developers. It suits mainstream industrial, commercial and retail activities together with existing approvals for a hotel and mining camp site. “Stage 1 which comprises 10 hectares has recently completed with all 11 finished allotments flood free, fully serviced, benched, kerb & channelled and ready to build. “Stage 2 and Stage 3 are yet to be constructed but have infrastructure in place so that they will be an easy roll out. The Urban Developer is proud to partner with Blue Commercial to deliver this article to you. In doing so, we can continue to publish our free daily news, information, insights and opinion to you, our valued readers.